Please use the contact form to send all inquiries. If you do not receive an email within a few minutes, please check your spam mailbox. Please enter your verification code to sign in. For security reasons, you have been signed out due to inactivity. Enter your email address This email is already registered. Check your email address. Please check this box if you want to proceed. sign up process, please click the activation link. please check your spam mailbox. 2. Information Collection, Use And Disclosure Activities. 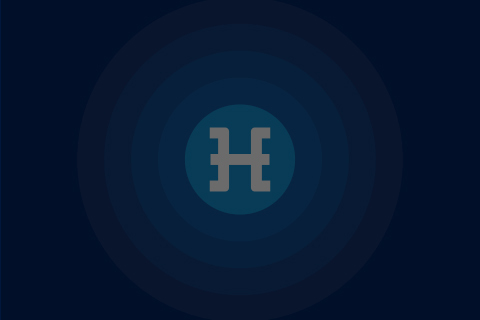 In addition to the information specified in Section 2.1, Hdac Technology AG may require Members, Contributores, Users or Clients or prospective Members, Contributors, Users or Clients to provide Hdac Technology AG with Company references to allow Hdac Technology AG to verify a Company’s capacity, legitimacy and reputability. Hdac Technology AG may provide such references to parties with which a Member, User or Client enters into a Negotiation to assure such parties that Company can meet its prospective obligations thereunder. 2.3 Member, Contributors, User or Client Profile. 2.4 Member, Contributor, User or Client Information. (a) Hdac Technology AG may collect, use and disclose both on and off the Site, for marketing and other purposes, certain general, demographic and statistical information regarding Site usage and transactions. (b) To assist Member, User or Clients in selecting companies they may do business with through the Site, Hdac Technology AG may make available to Member, Contributor, User or Clients and non-Member, Contributor, User or Clients certain performance statistics of all Companies, provided that such statistics shall not include any Company-identifiable pricing information. 2.5 Technical and Usage Information. To operate the Site, enhance its functionality, and ensure that Members, Contributors, Users or Clients Negotiations and communications are convenient, dependable and secure, Hdac Technology AG may collect, store and use technical and Site usage information relating to a Member, Contributor, User or Client's activities on the Site. Such information includes the Internet Protocol (“IP”) address from which a Member, Contributor, User or Client accesses the Site, which is used only internally by Hdac Technology AG as required for server operation and other technical uses, and is not disclosed to Members, Contributors, Users or Clients or other persons. Hdac Technology AG may also track the pages of the Site accessed by Members, Users or Clients. 2.6 Member, Contributor, User or Client Communications. Hdac Technology AG may use Member, Contributor, User or Client contact information, such as e-mail addresses, to communicate with Members, Users or Clients regarding registration and transactions, to notify Members, Contributors, Users or Clients of changes in Site functionality and features, product and service updates, policy changes, billing and other activities relating to a Members, Contributors, Users or Client's use of the Site, and for marketing purposes. 3. Collection And Use Of Information Using Cookies. As with many state-of-the-art Internet sites, the Site uses “cookies” to enhance the functionality of the Site and to make transactions and other activities more convenient and efficient for Members, Contributors, Users or Clients. A “cookie” is a file stored locally on computers used to access the Member, Contributor, User or Client account that contains information relating to a Member, Contributor, User or Client's past use of the Site. For example, a cookie may contain information previously entered on a Site form, which may be recalled as default information when that form is accessed at a later time. This prevents re-entry of frequently used information each time a Member, Contributor, User or Client account is accessed. Cookies are also useful in streamlining log-in and in preserving transactional information between sessions. Cookies will likely play an increasingly important role as we enhance the ability of Members, Contributors, Users or Clients to customize the functionality of the Site to better meet their needs and preferences. Most Internet browsers include preference settings that allow users to be notified and control whether cookies are transferred to their computers. Please review Your browser's documentation or “help” feature for more information on that functionality. Although disabling cookies will not affect a Member, User or Client's ability to transact business on the Site, it may make such activities more time consuming. The Site may contain hyperlinks through which other Internet websites may be accessed by Members, Contributors, Users or Clients. Hdac Technology AG is not responsible for and cannot make any assurances regarding privacy, or other policies or practices of the operators of such websites. Such links are provided only for the convenience of our Members, Contributors, Users or Clients, and the presence of any link does not imply that Hdac Technology AG endorses, approves or is responsible for such websites. 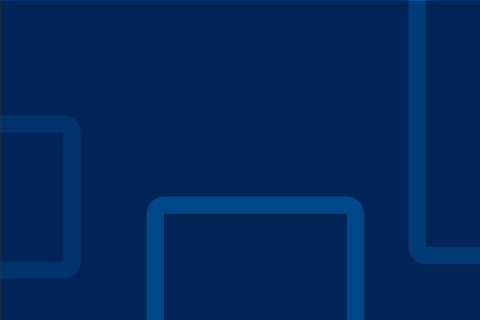 Hdac Technology AG is very concerned with the security of information relating to our Members, Contributors, Users or Clients' use of the Site and has implemented systems and procedures to prevent unauthorized access to that information including the use of Secure Sockets Layer (SSL) connection and password protection. Each Member, Contributor, User or Client will create its own username and password, the secrecy of which is the sole responsibility of the Member, Contributor, User or Client. In the event the integrity of a Member, Contributor, User or Client’s password is compromised, the Member, Contributor, User or Client shall immediately change its password. The email you entered is incorrect. Enter your email address. This email is already registered. Enter your nickname. Max. 20 characters. Below are a few questions that will help us get a better understanding of the users and how the TestNet will be used. Your request to join the Hdac TestNet has been sent. Once we have finished reviewing your request, we will contact you. Your account was not activated because the activation period expired. Please start the TestNet registration process over again. Conectric Networks, LLC is pleased to announce that we have entered an MOU for technical and marketing co-operation with Swiss based IoT Blockchain technology company Hdac Technology AG ("Hdac"). This follows the Conectric Networks unique horizontal approach to IoT mesh networking sensor technology, enabling highly disruptive and scalable open ecosystems of software solutions around its decentralized wireless data networks. The result is the development of Industrialized Sensor Data Blockchain solutions for use in smart building, smart grid, smart manufacturing, smart cities and other global IoT markets. Conectric and Hdac demonstrated the first of its kind IoT-mesh combined solution last week at the IoT Blockchain Summit in Atlanta, GA. Movement, temperature and humidity data was generated using the Conectric wireless mesh sensors around the conference center and exposed on the Hdac-Conectric Blockchain Gateway, using Hdac crypto-tokens on the Public Hdac network. Hundreds of attendees from over 40 companies including IBM, Oracle, Siemens, Shell, Verizon, AT&T, FedEx, Airbus and IOTA were able to interact with the demonstration. This announcement follows the recent MetroConnect 2018 export assistance award given to Conectric Networks jointly by the World Trade Center San Diego (WTC), and the J.P. Morgan Chase to help innovative San Diego companies achieve their goals of expanding their international reach. Conectric Networks CEO, Phillip Kopp, was optimistic about this partnership: "This memorandum exemplifies our unique approach in this field. We designed an IoT networking solution that is completely decentralized and integrated with virtually any software, making the blockchain solution an obvious fit. Hdac Technology stands out in their IoT focus and vision that aligns with Conectric. 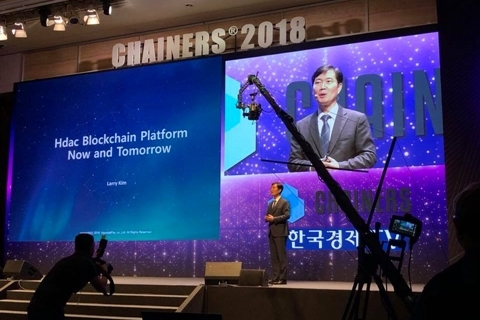 New features will include Hdac's Blockchain as a Service (BaaS) platform and Universal Multitenancy Blockchain Adapter (H-UMBA) technology, announced at the Summit. We see large scale deployments of this world's first blockchain enabled IoT solution happening quickly in the United States, Europe as well as South Korea. IoT without Blockchain, is like computers without the internet. 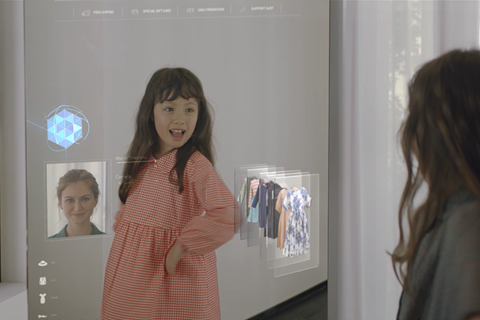 These applications will reshape the world, and we are proud to work with the Hdac team together to possibly be the very first to do so commercially." "Hdac Technology has a platform for Enterprise blockchain in which we differentiate through a hardware-software based approach. The Hdac-Conectric co-work is an example of how we are executing this roadmap. IoT mesh networking and high volume sensor data inputs are key components to the success of our customers' business value. It is important to highlight how we have now shown this in practical use. We are optimistic about the results." The announcement was made jointly by Conectric Networks CEO Phillip Kopp and Hdac Technology COO John Sang-Ug Bae on October 29th, at the Knect365 Industry of Things World Series IoT Blockchain Summit in Atlanta, GA.
Share this page with your family and friends. ©2018 Hdac Technology AG. All Rights Reserved. The following Terms & Conditions (“Terms”) govern Token Generation Event (“TGE”) of Hdac Technology AG. Hdac Technology AG aims to develop the Hdac Platform Core system and aims to provide support through marketing and other activities. The Hdac platform aims to combine in future blockchain, and IoT in order to provide in future automated, machine-to-machine, ultra-low cost, microtransaction between IoT devices that are authenticated, mapped and verified through the blockchain. In its architecture, the Hdac system will use a hybrid blockchain that has functions of a public blockchain to optimize transaction structure such as ePoW, improved block size, and fast transaction velocity. It will also has functions of a private blockchain that solve problems of security vulnerabilities, transaction speed and IoT authentication in order to meet conditions of IoT industry. The Hdac Platform will implement IoT contracts for devices to perform the planned operations with the technologies. The Hdac system will ensure the efficiency and security of exponential growth of the IoT industry. Hdac Technology AG (“Company”) is registered in Zug, Switzerland. The Company will create and distribute to Participants in the TGE(“Participants”) after finishing the TGE. The total token amount is 12 billion dacs. The exchange ratio will be 1BTC = 22,000 dacs. The total issuance amount will be 12 billion dac. 1. 7% of DAC will be kept for capital reserve. 2. 7% of DAC will be distributed to the Hdac presale / TGE participants. 3 The remaining 86% of DAC can be earned through equitable 'ePoW' mining. The first block reward will be 5,000 dac. For the next 163 years, anyone can join Hdac mining. A 35% of pre-mined DAC will be kept for capital reserve. B 15% of pre-mined DAC will be kept by Hdac foundation & Hdac technology AG for capital reserve. C 24% of pre-mined DAC will be used to implement Hdac technology. managing social media channels, advisors, and bounty programs. E 15% of pre-mined DAC will be used to create infrastructure, ecosystem organisation, liquidity management and activation. NO ADDITIONAL TOKEN WILL BE ISSUED AFTER COMPLETION OF THE TGE DESCRIBED ABOVE. AFTER THE DEVELOPMENT OF THE Hdac MAINNET, dacs WILL ONLY BE OBTAINED BY MINING ACTIVITIES THAT ARE SPONTANEOUSLY DONE BY INDIVIDUALS. The TGE will be starting at 09:00(GMT+1) on November 27th, 2017 and will be finished at 23:50(GMT+1) on December 22th (26Days). The Company reserves the right to change the duration of the TGE period for any reason, including the unavailability of the website https://hdac.io or any other unforeseen procedural or security issues. The Company is not involved and cannot and does not guarantee the listing of the dac and the market liquidity for dacs. By holding dacs, you expressly acknowledge and represent that you fully understand that dacs may experience volatility in pricing including the total loss in value and will not seek to hold the Company or related parties liable for any losses or any special, incidental, or consequential damage arising from, or in any way connected with holding of dacs. In the spirit of openness, and to enable TGE Participants to have as much information as possible to guide their decision making process, the Company will make all participations publicly visible on the website at https://hdac.io. The Company will maintain a web interface, which can be used to participate in the TGE. The web interface will be available on https://hdac.io for participating in the TGE with BTC. Failure to follow the instructions on the web interface may limit, delay, or prevent the participation in the TGE. Hdac Technology AG does in no case have any legal responsibility if any problem occurs and/or a Participant can not participate in the TGE due to system error, natural disaster, network traffic, and etc. Any questions about these instructions should be directed to hdactech@hdactech.com. The TGE constitutes the contribution to the production of a software product under Swiss law. This TGE is conducted by a Swiss company regulated by Swiss law. It is the responsibility of each potential Participant of the TGE to determine if he/her can legally contribution in his/her jurisdiction. During the TGE on the https://hdac.io website, the Company will provide Participants with intermediary BTC wallet addresses. Using these wallet addresses, Participants can track and confirm that the Participant’s BTC’s have been received at these addresses. Knowledge of the unique intermediary BTC wallet addresses does not constitute a participation receipt or indicate in any way that any party possessing such knowledge has rights to or ownership of the dacs. As part of the TGE, and in order to participate to receive dacs, a Participant will need to provide full KYC/AML information and fulfil a registration process through the TGE Web Account. Participation in the TGE is not open to residents or citizens of the US, Singapore and China. Funds raised in the TGE can be refunded to contributors any time if legal provisions were neglected. Participation can be unilaterally cancelled by the Company without being obliged to give reasons. Potential Participants have to investigate themselves if they are eligible to participate in the TGE. The Company may at any time refund contributions from any jurisdiction and delete the account and information provided from a potential contributor. The Company holds a strict KYC/AML policy complying with international standards. Any suspicious transaction and any suspicious facts related to Participants will be reported to the relevant authorities without any further notice. A potential Participant not willing to participate in the KYC/AML process or a potential Participant not accepted in the KYC/AML process will not be refunded. Please ensure that the URL of your web browser indicates that it is using a hypertext transport protocol secure connection (“https”) as depicted in the image above and that the domain name is correct. By participating in the TGE, to the extent permitted by applicable law, the participant agrees to not hold any of the Company or related parties liable for losses incurred by any person, entity, corporation, or group of individuals or groups who uses a third-party service to participate in the TGE. The only official and authorized TGE website URL is https://hdac.io. The Company will monitor all potential transactions for fraudulent attempts to double spend BTC. Any detected double spend of BTC will result in no dacs being generated for the associated address. PARTICIPATION IN THE TGE IS FINAL AND THE PARTICIPANT HAS NO RIGHT TO AKS FOR REFUNDING. THE PARTICIPANTS ACKNOWLEDGES THAT NEITHER THE COMPANY NOR ANY RELATED PARTY OF THE COMPANY ARE REQUIRED TO PROVIDE A REFUND FOR ANY REASON, AND THAT THE PARTICIPANT WILL NOT RECEIVE MONEY OR OTHER COMPENSATION FOR ANY dacs THAT ARE NOT USED OR REMAIN UNUSED. PARTICIPANTS WHICH DO NOT PASS OR ARE NOT WILLING TO PASS THE KYC/AML PROCESS ARE NOT REFUNDED. The Company makes no representations concerning the tax implications of the participation in the TGE and/or holding, possession or use of dacs. The Participant bears the sole responsibility to determine if the participation with BTC or any fiat currencies or the potential appreciation or depreciation in the value of dacs over time has tax implications for the Participant in the Participant’s home jurisdiction. To the extent permitted by law, the Participant agrees not to hold the Company or its related parties liable for any tax liability associated with or arising from the participation in the TGE and/or the holding/possession or use of dacs. Ownership of dacs carries no rights neither expressly nor implied. The dac is not a security and gives no right to dividend payments, interest payment, participation in the liquidation procedure and rights to liquidations proceeds of the Company. The dac does not give right to participation, petition and/or voting rights in the shareholders meetings or any other meetings of the Company. The participation in the TGE is non-refundable and all raised funds belong to the Company and the Company is not obliged to pay anything back neither to Participants in the TGE nor to owners of dacs. Participants should have no expectation of influence over governance of the platform. By participating in the TGE, you expressly acknowledge and represent that you have carefully reviewed the Terms & Conditions and fully understand the risks, costs, and benefits of the participation and agree to be bound by these Terms. You further represent and warrant that, to the extent permitted by law, you are authorized to participate in the TGE in your relevant jurisdiction, are of a legal age to be bound by these Terms & Conditions, and will not hold the Company, its parent and affiliates, and the officers, directors, agents, joint ventures, employees and suppliers of the Company or its parent or affiliates, now or in the future and any other member of the Company nor its related parties liable for any losses or any special, incidental or consequential damages arising out of, or in any way connected to the participation in the TGE and/or because of your ownership of dacs. The contribution of dacs carries with it a number of risks. Prior to participating in the TGE or purchasing dacs, you should carefully consider the risks listed here and, to the extent necessary, consult an appropriate lawyer, accountant, or tax professional. If any of the following risks are unacceptable to you, you should not participate in the TGE nor possess dacs. By participating in the TGE and/or the ownership of dacs, and to the extent permitted by law, you are agreeing not to hold the Company nor its related parties liable for any losses or any special, incidental, or consequential damages arising from, or in any way connected, to the participation in the TGE and by ownership of dacs. While the Company will provide general guidelines for user usage and storage of dacs before the Company becomes operational, Participants should have functional understanding of storage and transmission mechanisms associated with other cryptographic tokens. While the Company will be available to assist Participants during and after the TGE, the Company will not be responsible for lost BTC resulting from actions taken by, or omitted by Participants. Note, in particular, that Participants in the TGE should take great care to write down their account password and not lose it so as to be sure that they will be able to access their dacs when it becomes available after the TGE. This document is not a solicitation for investment and does not pertain in any way to an offering of securities in any jurisdiction. Individuals, businesses, and other organizations should carefully weigh the risks, costs, and benefits of participating in the TGE and acquiring the dacs. THE CONTRIBUTOR EXPRESSLY AGREES THAT THE CONTRIBUTOR IS PURCHASING DACs AT THE CONTRIBUTOR’S SOLE RISK AND THAT DACs IS PROVIDED ON AN “AS IS” BASIS WITHOUT WARRANTIES OF ANY KIND, EITHER EXPRESSED OR IMPLIED, INCLUDING, BUT NOT LIMITED TO, WARRANTIES OF TITLE OR IMPLIED WARRANTIES, MERCHANTABILITY OR FITNESS FOR A PARTICULAR PURPOSE (EXCEPT ONLY TO THE EXTENT PROHIBITED UNDER APPLICABLE LAW WITH ANY LEGALLY REQUIRED WARRANTY PERIOD TO THE SHORTER OF THIRTY DAYS FROM FIRST USE OR THE MINIMUM PERIOD REQUIRED). WITHOUT LIMITING THE FOREGOING, NONE OF THE COMPANY PARTIES WARRANT THAT THE PROCESS FOR PURCHASING DACs WILL BE UNINTERRUPTED OR ERROR-FREE. THE PARTICIPANT ACKNOWLEDGES AND AGREES THAT, TO THE FULLEST EXTENT PERMITTED BY ANY APPLICABLE LAW, THE DISCLAIMERS OF LIABILITY CONTAINED HEREIN APPLY TO ANY AND ALL DAMAGES OR INJURY WHATSOEVER CAUSED BY OR RELATED TO USE OF, OR INABILITY TO USE, dacs UNDER ANY CAUSE OR ACTION WHATSOEVER OF ANY KIND IN ANY JURISDICTION, INCLUDING, WITHOUT LIMITATION, ACTIONS FOR BREACH OF WARRANTY, BREACH OF CONTRACT OR TORT (INCLUDING NEGLIGENCE) AND THAT NEITHER THE COMPANY NOR ITS RELATED PARTIES SHALL BE LIABLE FOR ANY DIRECT, INDIRECT, INCIDENTAL, SPECIAL, EXEMPLARY OR CONSEQUENTIAL DAMAGES, INCLUDING FOR LOSS OF PROFITS, GOODWILL OR DATA, IN ANY WAY WHATSOEVER ARISING OUT OF THE USE OF, OR INABILITY TO USE THE dac. THE SAME APPLIES TO THE, INABILITY TO PARTICIPATE IN THE TGE. THE PARTICIPANT FURTHER SPECIFICALLY ACKNOWLEDGES THAT THE COMPANY IS NOT LIABLE, AND THE CONTRIBUTOR AGREES NOT TO SEEK TO HOLD ANY OF THE COMPANY PARTIES LIABLE, FOR THE CONDUCT OF THIRD PARTIES, INCLUDING OTHER PARTICIPTANS IN THE TGE OR OWNERS OF dacs, AND THAT THE RISK OF PURCHASING AND USING dacs RESTS ENTIRELY WITH THE PARTICIPANT AND/OR OWNER OF dacs TO THE EXTENT PERMISSIBLE UNDER APPLICABLE LAWS. UNDER NO CIRCUMSTANCES WILL THE COMPANIES OR ITS RELATED PARTIES BE LIABLE TO ANY PARTICIPANT FOR MORE THAN THE AMOUNT THE PARTICIPANT HAS PAID TO THE COMPANY BEFORE, DURING OR AFTER THE TGE. SOME JURISDICTIONS DO NOT ALLOW THE EXCLUSION OF CERTAIN WARRANTIES OR THE LIMITATION OR EXCLUSION OF LIABILITY FOR CERTAIN TYPES OF DAMAGES. THEREFORE, SOME OF THE ABOVE LIMITATIONS IN THIS SECTION AND ELSEWHERE IN THE TERMS MAY NOT APPLY TO A PARTICIPANT. IN PARTICULAR, NOTHING IN THESE TERMS SHALL AFFECT THE STATUTORY RIGHTS OF ANY PARTICIPANT OR EXCLUDE INJURY ARISING FROM ANY WILLFUL MISCONDUCT OR FRAUD OF THE COMPANY. The TGE is organized by Hdac Technology AG, a legal entity incorporated in the Canton of Zug, Switzerland. Swiss material law is applicable. All disputes, controversies or claims arising out of, relating to, or in connection with the Terms, the breach there of, or the TGE shall be finally settled under the Rules of Arbitration of the International Chamber of Commerce by one or more arbitrators appointed in accordance with said Rules. All claims between the parties relating to these Terms that are capable of being resolved by arbitration, whether sounding in contract, tort, or otherwise, shall be submitted to ICC arbitration. Prior to commencing arbitration, the parties have a duty to negotiate in good faith and attempt to resolve their dispute in a manner other than by submission to ICC arbitration. The arbitration panel shall consist of one arbitrator only, unless the ICC Court of Arbitration determines that the dispute is such as to warrant three arbitrators. If the Court determines that one arbitrator is sufficient, then such arbitrator shall be selected from Switzerland. If the Court determines that three arbitrators are necessary, then each party shall have 30 days to nominate an arbitrator of its choice — in the case of the Claimant, measured from receipt of notification of the ICC Court’s decision to have three arbitrators; in the case of Respondent, measured from receipt of notification of Claimant’s nomination. All nominations must be from Switzerland. If a party fails to nominate an arbitrator, the Court will do so. The Court shall also appoint the chairman. All arbitrators shall be and remain “independent” of the parties involved in the arbitration. The place of arbitration shall be fixed by the ICC Court, but the arbitral tribunal may conduct hearings, meetings, and deliberations at any location it considers appropriate. The language of the arbitration shall be English. In deciding the merits of the dispute, the tribunal shall apply the laws of Switzerland and any discovery shall be limited and shall not involve any depositions or any other examinations outside of a formal hearing. The tribunal shall not assume the powers of amiable compositeur or decide the case ex aequo et bono. In the final award, the tribunal shall fix the costs of the arbitration and decide which of the parties shall bear such costs in what proportion. Every award shall be binding on the parties. The parties undertake to carry out the award without delay and waive their right to any form of recourse against the award in so far as such waiver can validly be made. * any similar unforeseen event that renders performance commercially implausible. If an event of force majeure occurs, the party injured by the other’s inability to perform may elect to suspend the agreement, in whole or part, for the duration of the force majeure circumstances. The party experiencing the force majeure circumstances shall cooperate with and assist the injured party in all reasonable ways to minimize the impact of force majeure on the injured party. These Terms sets forth the entire understanding between each Participant and the Company with respect to the participation in the TGE. For facts relating to the TGE the Participants agrees to rely only on this document in determining participation decisions and understands that these documents govern the participation in the TGE and supersede any earlier public statements made by third parties or by the Company, the team or individuals associated with the Company in the past and present and during the TGE. The Participant and the Company agree, that if any portion of these Terms & Conditions is found illegal or unenforceable, in whole or in part, such provision shall, as to such jurisdiction, be ineffective solely to the extent of such determination of invalidity or unenforceability without affecting the validity or enforceability thereof in any other manner or jurisdiction and without affecting the remaining provisions of the Terms & Conditions, which shall continue to be in full force and effect. The Company reserves the right, at its sole discretion, to change, modify, add, or remove portions of the Terms & Conditions, at any time during the TGE by posting the amended Terms on the website (https://hdac.io). Any Participant will be deemed to have accepted such changes by participating in the TGE. If at any point, you do not agree to any portion of the then-current version of the Terms & Conditions, you should not participate in the TGE. For further information regarding the TGE, please contact hdactech@hdactech.com. Hdac Technology AG, Zug, Switzerland. © Copyright 2017 Hdac Technolgy AG. All Rights Reserved. You’ve been added to our list and will hear from us soon.